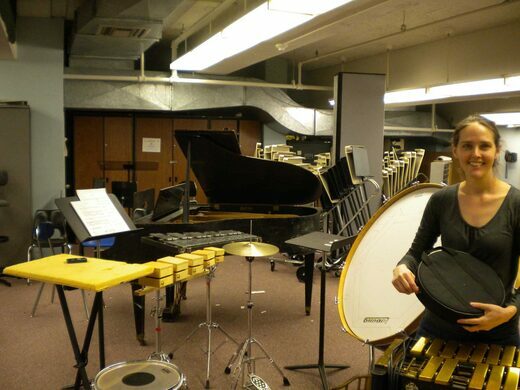 The concert will feature five world premieres of works for solo instrument and electronic sounds by composers Elizabeth Adams, André Brégégère, Nicholas R. Nelson, Inés Thiebaut, and Red Wierenga, performed by Jen Baker (tbn), Steve Beck (pf), Karen Kim (vn), Liam Kinson (cl), and John Singer (perc); and a performance of Davidovsky’s Synchronism No. 12 by Ben Ringer (cl). Browse our PROJECT PAGE for more information! We are pleased to announce our upcoming concert, in collaboration with Dan Blake and the Firehouse Space in Brooklyn. The concert will feature Ensemble 365, performing new and recent works by Inès Thiebaut, Greg Brown, Eric Nathan, and André Brégégère, as well as a performance of Schoenberg's Pierrot Lunaire, and a set by pianist/composer Sandra Sprecher (see complete information below). This should be an interesting event, and we hope to see you there! The fifth and final concert of this season will feature Ensemble 365 in collaboration with the commissioning series Dr. Faustus. 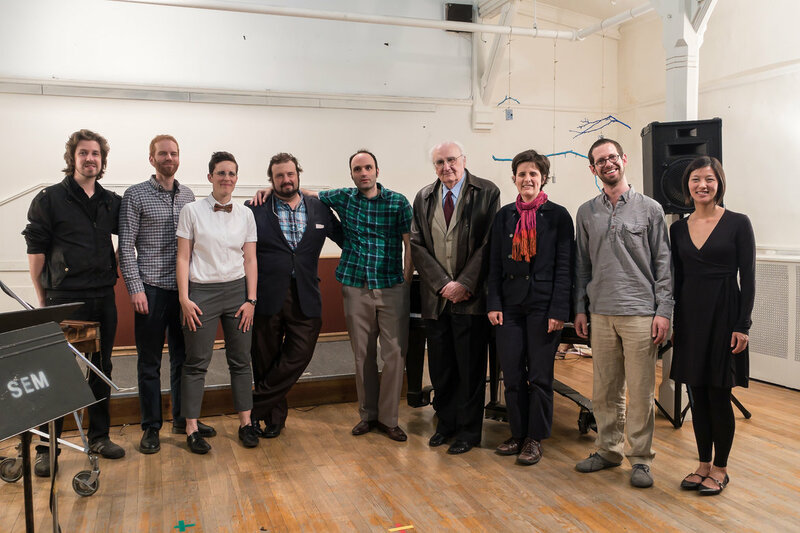 Ensemble 365 will perform new works by Inès Thiebaut, Greg Brown, Eric Nathan, and André Brégégère. Also on the program will be a performance of Schoenberg’s masterpiece Pierrot Lunaire, song by Sara Paar and her ensemble. 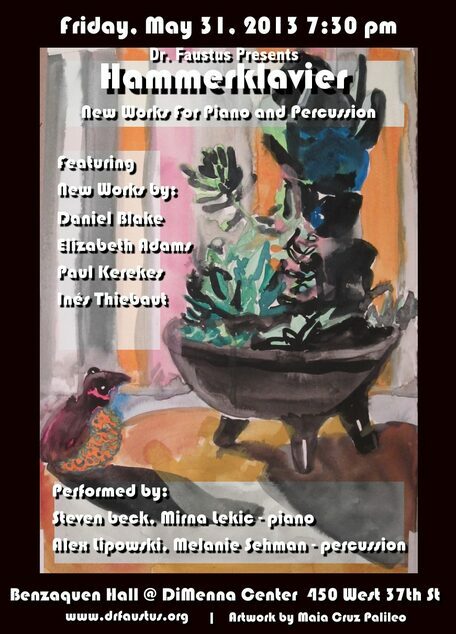 We will also be joined for an opening set by composer and pianist Sandra Sprecher and pianist Adam Tendler in a premier performance of BREAK OUT, a composition by Sandra Sprecher for two pianos and electronics. Many thanks to our supporters, and we hope to see you on Friday at the concert!